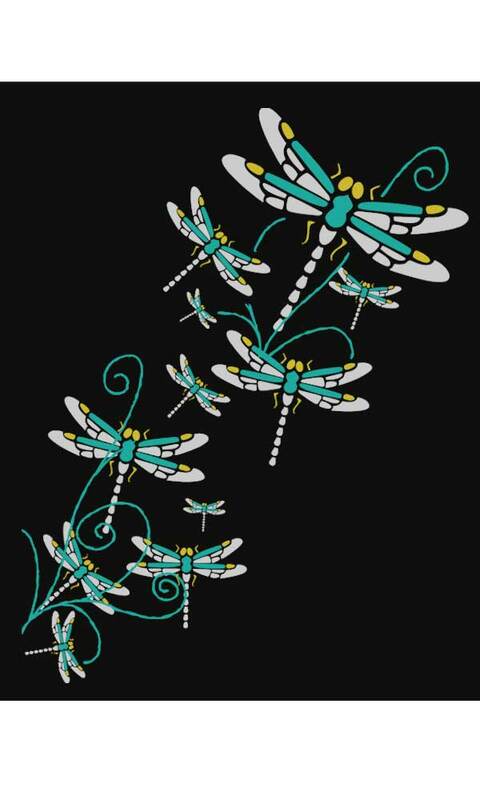 These happy dragonflies dance across the front of this tee. 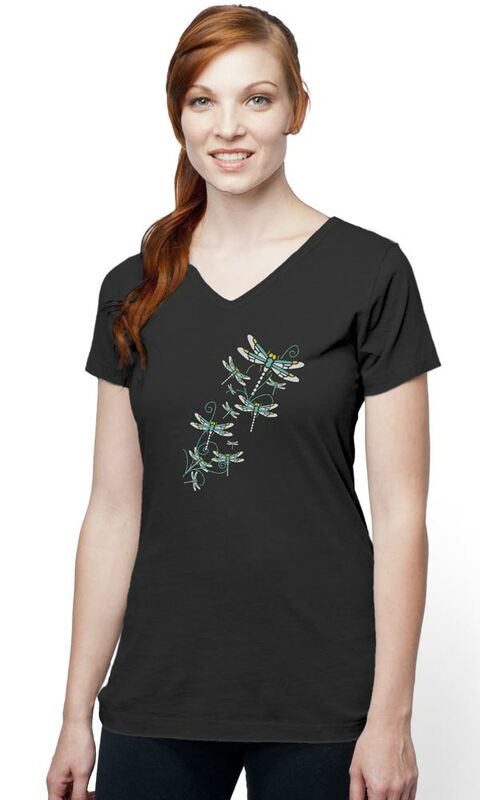 This is our "baby doll" VERY fitted Organic Cotton V-neck Tee with contoured side seams. Perfect for slim figures or younger girls. Looks super cute on and is oh so soft! Runs about 1 size smaller than our regular tops. "No returns or exchanges on this style will be accepted. All sales are final." Measurements: Chest: XS(30), S(32), M(34), L(36), XL(38). Shoulder: XS(12), S(13), M(15), L(16), XL (17). Length (center back to bottom): 25" all sizes. Sleeve length 6" all sizes.